The Poster Monday spot of the day goes to Göksu Ilgaz Koçakcıgil from Turkey for her poster entitled “The Present”. Göksu was born in Istanbul, Turkey. She moved to California right after high school to pursue an education and career in graphic design. Her focus was going to be on posters but she also wanted to learn everything about art in general. “I can feel that there is a long path in front of me in the design industry. One thing I know is that I want to end up doing posters, hundreds of them! The combination of traditional and digital art gives me joy” says Göksu. 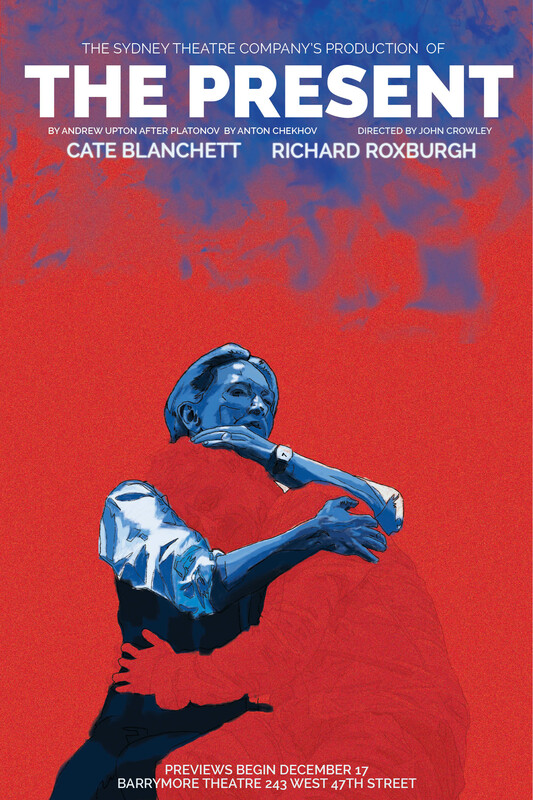 The poster “The Present” was inspired by the upcoming Broadway show with Cate Blanchett as the main character. The theme of the play is tragedy, and Göksu uses the colors and the pose of the characters to show that this play is going to be heavily emotional. “I was just a fan who designed stuff for the artists that I admire such as Katy Perry, Lady Gaga, Cate Blanchett. As different as these persons sound I find the same thing in their work and their personalities. Passion. I found my passion in them, in their work, and I reflected it in my art”. If you wish to know more of Göksu Ilgaz Koçakcıgil you can do so right here, and if you would like to see more proyects from Göksu visit her behance.